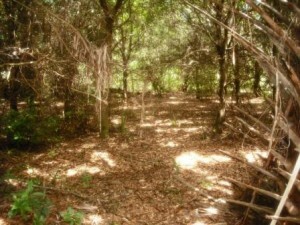 Located on Prosperity Farms Road, it’s quite a surprise to find this nature preserve to close to the Gardens Mall and Palm Beach State College in Palm Beach Gardens. Drive slowly or you may miss the entrance, drive a short distance to the small parking lot with spaces for about 10 vehicles and a bike rack nearby. No restrooms or drinking fountains available at this site. Stop by the information kiosk first to see the different trails and which type of wildlife you may expect to see on your hike. 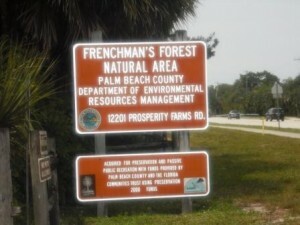 Frenchman’s Forest Nature Trails consists of 4 trails which are part of this 158-acre natural area protecting slash pine flatwoods, live oak hammock, cypress swamp, hydric hammock and tidal swamp and mangrove habitat. If you prefer not to walk very far, you can make your way to the covered observation platform with benches and views of the lake where fish and softshell turtles swim around. 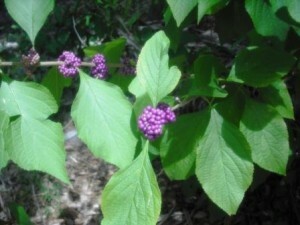 The easiest and shortest trail is the Blazing Star Nature Trail for an easy walk on paved surface that loops back around a 0.4 miles distance. You will find lots of shades from the majestic live oaks and cabbage palms towering over everything. 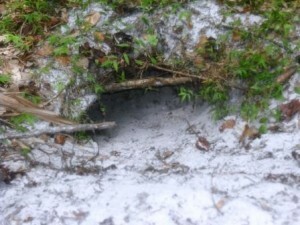 Along this trail, you can spot gopher tortoises, raccoons, opossums, black racer snakes, iguanas, gray squirrels and birds of all shapes and sizes such as the great horned owl, woodpeckers and cardinals. Look for spiders and butterflies along the way. 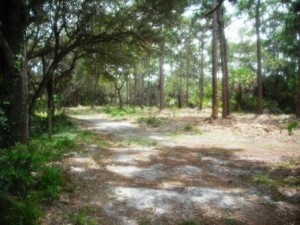 The Saw Palmetto Hiking Trail is the main loop, with yellow markers, very sandy 1.3 miles hike through Florida splash pine, sabal palm and Virginia live oak. 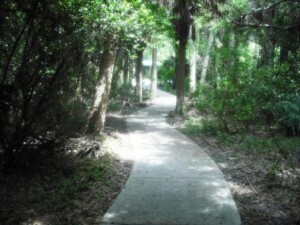 At 0.6 miles the Staggerbush Hiking Trail with red markers runs east and meets the 500-foot Cypress Swamp elevated boardwalk and loops back through scrub habitat around connecting to the 0.6 miles Archie’s Creek Hiking Trail with blue markers. 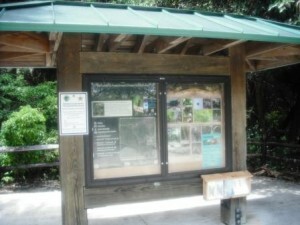 The information kiosk has a map of the entire trail system so be sure to take one to guide you through the different trails and remember to bring water along. 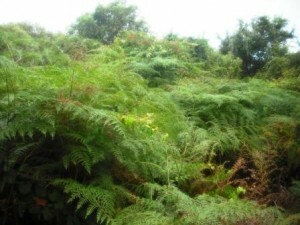 There is no smoking, hunting, fishing or feeding wildlife and no alcoholic beverages or pets allowed at this site.